The heav’nly guest is at the door. With new year gifts of peace, good will. Merry Christmas! Happy New Year! Jesus has come again, and we have been given a new slate! Even after more than two thousand years of Christmases, the promise is the same- Jesus is born in flesh and blood. God has entered into our reality in a new way! Christ has come, and the world will never be the same! Throughout the story of Jesus’ birth, life, ministry, death, and resurrection, we are treated to an experience of God that is beyond what we expect. In the coming of God into the world, we expect power, might, and upheaval. Instead, we get a seemingly ordinary baby born to a pretty normal-for-the-time family. In Jesus’ ministry, we expect an incarnate God filled with desire for power and worship. Opposingly, we read stories of a rather meek man who points to God in heaven as his power source rather than his own goodness. In his death narrative, we expect Jesus to be delivered from the pain and difficulty of life. But instead we hear a story of a vulnerable man who suffers the same way we as humans do. Even in his resurrection, we are surprised. Dead people are supposed to stay dead! This child, the heavenly guest alluded to in the hymn above, not only comes to dwell with us, but comes to change everything we think we know about God, ourselves, and our relationships with God and others. Jesus came that we might experience life anew, freely living in the promises of God. After hearing the story again, we change and grow to understand what God is doing in our lives. God lives within us and compels us to become a new being in Christ. Put in this light, it seems to me that the closeness of Christmas and New Year is no mistake. Many of us make New Year’s resolutions, in hopes that we will change or shift a certain behavior in our life. Jesus’ birth is like the ultimate New Year’s resolution. Christmas is a promise from God to humanity that our relationship will take on new dimensions. The world will never be the same! As you celebrate Christmas and the New Year, remember: what we are celebrating is more than just a birth, more than just a new beginning. We are celebrating a new promise from God that everything from this point on will be different. The promise is fulfilled, is being fulfilled, and will be fulfilled. Let’s celebrate! Vera Ottoson, mother of Bev Wood, passed away December 23. Vera slipped peacefully into rest December 23, 2017 in Spokane, WA surrounded by her family after a brief stay at Holy Family Hospital battling pneumonia. She was born October 5, 1924 in Hector, MN to Hugo and Bernice (Willhite) Apitz. Survived by her three children Beverly (Scott) Wood, Bruce (Judy) Ottoson, Joyce (Earl) Strickler; ten grandchildren; eleven great-grandchildren, and numerous nieces. She was preceded in death by her parents; husband Carl Edward Ottoson of 62 years; sister, Margaret (Apitz) Ottoson, brothers, Delmer Apitz, Merle Apitz; three sisters-in-law, two brothers-in-law, a niece and a nephew. She grew up with her parents and siblings on a farm in Hector, MN. Most of her family moved to the Spokane area in fall of 1946 to an adjacent farm. After a brief courtship, Vera married the love of her life on May 25, 1947. Vera was an active member of the Wayside Community Center (Montfort School) and the Half Moon Women’s Club. She was a 4-H club leader for the Silver Belles & Beaus. She volunteered in the Support Services of Spokane County Fire District 4 for 20 years in addition to supporting her husband while he served. Vera was an active member of the Spokane Area square dance clubs for almost 50 years where she helped Carl serve in many club, council, and state offices. 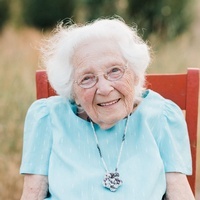 She enjoyed spending time with her family and friends, as well as traveling, cruising, gardening, sewing, needlecrafts, card & board games, and puzzles. Viewing will be at Heritage Funeral Home on Thursday and Friday from 10-5. Following a private burial, a Celebration of Life service will be held at Northview Bible Church, 13521 N. Mill Road, Spokane, WA 99208 on Saturday, December 30, 2017 at 2:00pm. In lieu of flowers, memorials may be made to the Square Dance Federation’s Heritage Center, Montfort School or a charity of your choice. Intern Pastor Seth Rumage will conduct services. Please join us December 24 for worship! At 10:00 am, we will observe the Fourth Sunday of Advent with a sermon on God’s promise to dwell with God’s people, and a celebration of Holy Communion. At 6:30 pm, we will celebrate the birth Of Jesus Christ with a Candlelight Christmas Celebration, Sermon, and Holy Communion. We will not worship Monday, December 25 for Christmas Day. Please join us for worship if you are able! On Sunday, December 17, we celebrated the coming Christ-Child by enjoying a children’s program during worship and baptizing Janet Sophia Lwakihugo. What a great celebration of God’s work in our midst! Our Sanctuary is all decked out for the Season of Advent, thanks to our wonderful volunteers!